It seems HMD may have a new device dubbed Nokia X in the works and it could make it official as early as April 27. 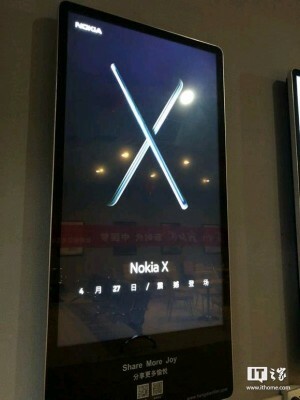 The news was broken by some moviegoers who saw digital posters for the Nokia X, over in China. There hasn't been anything in the rumor mill concerning a Nokia X which leads us to believe that this will likely be a low-profile device and not the expected Nokia 9 (or 10) flagship. 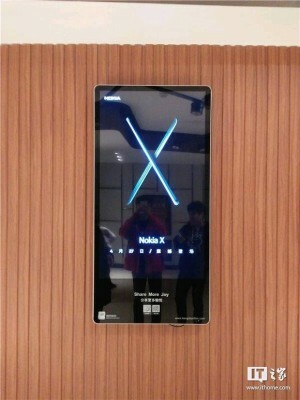 Given that the original Nokia X was an entry level device we expect this one to follow suit. Of course this could turn out to be some marketing ploy by Nokia or some other company, so we'd advise against getting your hopes high until more solid evidence arrives.